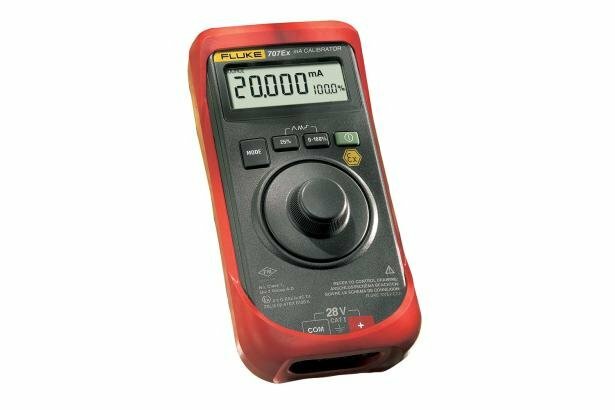 The Fluke 707Ex is an intrinsically safe loop calibrator for use in potential explosive environments. The Fluke 707Ex is certified in accordance with the ATEX directive in Zones 1 and 2. The Fluke 707Ex is certified in accordance with the ATEX directive (Ex II 2 G Ex ia IIC T4) in Zones 1 and 2. It is also certified to operate in accordance with Factory Mutual N.I. Class 1, Division 2 areas Group A-D. Beyond that it combines the best features of a push-button and knob-base loop calibrator, for extremely fast and easy calibration. The large display and simple quick-click rotary button lets you make quick selections and adjustments with one hand. Plus, features such as mA sourcing, simulation and measurement; simultaneous display of mA and % of span, and selectable step or ramp outputs, helps you work more efficiently and accurately. 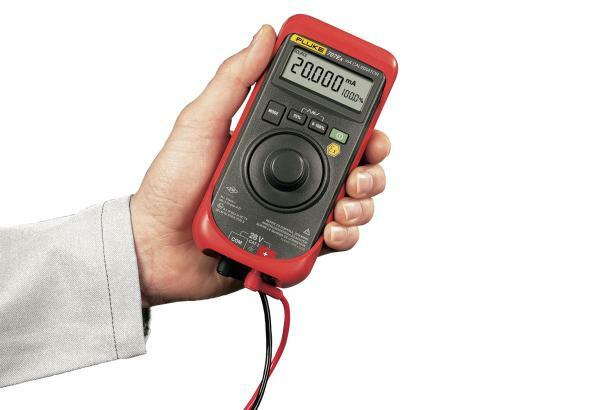 And you can quickly change the 9V battery without breaking the calibration seal. Includes 0-100% “span check” for fast confirmation of zero and span. Provides selectable slow ramp, fast ramp, and step ramp to provide smooth outputs for valve slewing and loop functional tests.